Add a whimsical touch of transitional chinoiserie to your home with our Hand Painted Bamboo Chandelier with Playful Wood-Carved Monkeys! 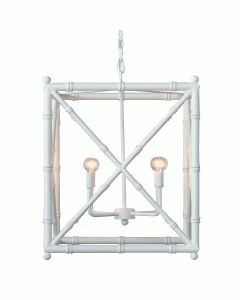 This adorable and fun hanging light fixture looks great in a children's bedroom or playroom. This chandelier measures 42"W x 36"H. The height of the chandelier's chain can be adjusted to suit your needs. 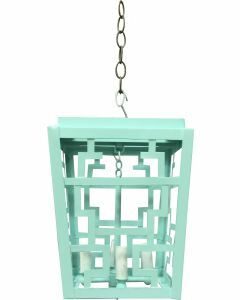 By request, this lantern can be custom finished in any Benjamin Moore color. Please contact Customer Service at 888-WELLAPP or customerservice@wellappointedhouse.com to inquire. Click on image for greater detail. If you are a member of the trade, please join our Trade Program for trade discounts.